Safety Goggleseyewear must conform to a higher standard of impact resistance than regular eyeglasses, which optical professionals sometimes call "dress eyewear." This higher standard applies to both the lenses and the frames of safety glasses and goggles.Safety glasses may have prescription lenses or non-prescription (also called "plano") lenses. Regardless of their size or the durability of the frame and lenses, regular prescription eyeglasses do not qualify as safety glasses unless they meet specific criteria. Safety eyewear must conform to a higher standard of impact resistance than regulareyeglasses, which optical professionals sometimes call "dress eyewear." This higher standard applies to both the lenses and the frames of safety glasses and goggles.Safety glasses may have prescription lenses or non-prescription (also called "plano") lenses. Regardless of their size or the durability of the frame and lenses, regular prescription eyeglasses do not qualify as safety glasses unless they meet specific criteria. These goggles are lightweight , comfortable , adjustable to human head sizesavailable in several configurations. These Goggles are made of Plastic. They are available in two typesThese glasses are worn to protect the eye when chipping or scaling metal or another object that may chip or fragment. Owing to our in-depth knowledge in this domain, we are specialized in providing Glider Goggles. 3M Protective Eyewear 1709 Clear Lens Series 100. Stylish safety glasses that help provide comfortable eye protection with clear lens. Can be used in most settings where eye protection is required. This product meets the requirements of the standard for Occupational and Educational Eye and Face Protection ANSI Z87.1-1989 for primary eye protection. Lightweight plastic frames. Integrated side shields. 3M 1709 Sting-Rays Protective Eyewear. 3M is a diversified technology company serving customers and communities with innovative products and services. 3M is committed to actively contributing to sustainable development through environmental protection, social responsibility and economic progress. 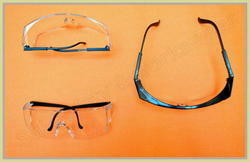 Stylish safety glasses that help provide comfortable eye protection with clear lens. 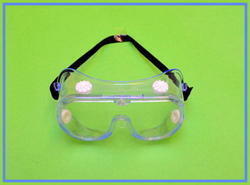 Can be used in most settings where eye protection is required.